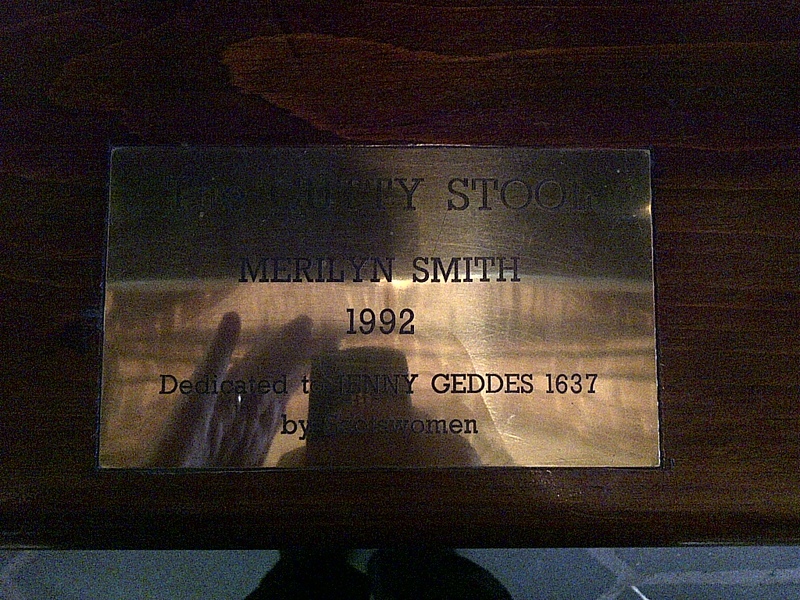 The stool Jenny Geddes threw at the authorities when a bishop was appointed against the will of the people, thereby beginning the Scottish Revolt against the Church of England. Edinburgh, Scotland. June 12, 2013. On the ENGLAND, SCOTLAND & WALES tour.